Pickin' Boots Vintage – Rusty, Chippy & Painted. So I have been saving my Mermaid rub on transfer for just the right piece. Well, I came across a enamel table top and thought it would look awesome on it. It was a little rusty, so I figured I could add to the rust with Dixie Belle Patina line. (amazing product!!). Well, as I am laying everything out, measuring where to put it the paper comes off the back and exposes the transfer. It catches on the other half of the transfer. (It comes in two pieces to make application easier… unless your me!! 🙂 ) So part of the transfer is not longer usable because it is stuck to the back of the other half. Well I decided to go ahead and still use it. I applied it hoping that it wouldn’t look to bad with the missing piece. After applying it, it really needed the missing piece. I was thinking how in the world could I put these piece on??? The back side of the paper where the transfer was sticking was the “shiny, non-stick side” of course. So I lightly sanded the paper and then applied Dixie Belle Slick Stick as a glue to hold the transfer paper section onto the porcelain table top. It worked like a charm. Luckily my surface I was putting it on was white, so it matched the paper. It was a little brighter white then the table top but I figured I would be using the Dixie Belle Patina line so I could hide the brightness. So…. have I said how much I LOVE the Dixie Belle Patina line yet????? It is amazing! Here’s an up close look at the patine I added. I then sealed it with Gatorhide. I loved the look of how it turned out. I added this enamel table top to a metal pedestal base I had to make a table. The top is a little off center, I just had it resting on top for the picture. I have it paired with two off white chairs at the shop. I will have to add a picture of the final project. I will be hosting a class on the Dixie Belle Patina line in May. There will be more info posted on our Facebook page. Has this ever happened to you, you see a piece of furniture and you just know it can be beautiful? You look at it and see a magnificent piece of solid wood, quality and a piece that has several more years left. Where others look at it and say you are crazy!!!! The back leg was coming apart from the back exposing the dowels needed to hold it together. The top was worn from many years of use. Some people would look at this project and think that they need to sand the top, which is a lot of work. However, with Dixie Belle Paint you can just clean the surface and paint! This is just one coat of Dixie Belle Stormy Seas. This is a pretty color and all but I felt like it could be some much more! So I decided to add some depth. I added Haint Blue and Midnight Sky. Using my Dixie Belle oval medium brush and mister, I went to town! After I was done, I used Gatorhide to seal it. What do you think? Do you think I should have left it just the one color or do you like the blending? We will be holding classes on blending at the shop. 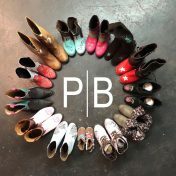 Please refer to our website Pickin’ Boots Vintage for more information or to purchase any of the products used.